Word Cloud. a picture is worth a thousand words. 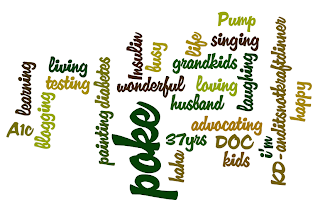 For today’s post we’re going one further and putting your words into an image, a word cloud or tree representing YOUR health focus, interest, or passions. Write down some of your favorite topics off the top of your head or review the tags in your blog post for some surprises. 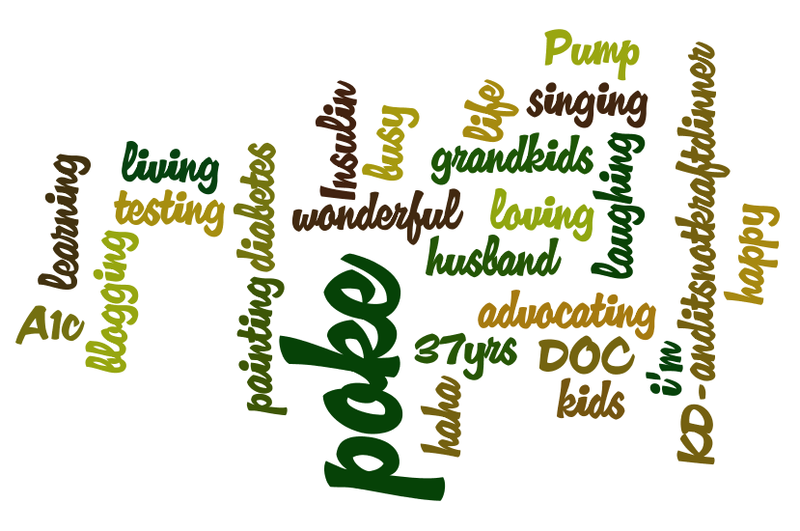 For some examples on layout check out www.wordle.net. Let me begin by saying that thanks to HAWMC, I am becoming quite computer savvy! Well maybe savvy is stretching it a bit, but gee, I figured out Pinterest all by myself, and now, thanks to today's prompt, I managed to create, and cut and paste or some such thing in my Paint program to enable me to have it show up here, on my blog!